So I have a 1982 245 non-turbo automatic. The idle has been high as of late -- and insanely high in park/neutral. It was running slightly high but I recently had the rubber sleeve come off the air flow sensor and when I resealed that properly the idle was just super high once it warms up. I bought it from someone who purchased it from a Volvo shop in Portland that obviously pieced together what she had in mind and repainted it. They knew she wasn't a mechanic and wouldn't notice any of the weird 'fixes' they did as they would do any repair work on it. Lots of weirdness as I've tried to fix/solve problems that have emerged. From screws being used where plastic pieces should be to cut wires/etc/etc. Which from what I can figure out is this? Am I correct in that? It seems like this auxiliary air valve is gone? Which appears to be a bolt essentially 'sealing' a hose. Which I think is this? But I haven't been able to figure out what it is exactly? Also -- I haven't been able to find an idle adjustment screw. Any ideas on that for this model? From what I can find it should be underneath the injector? 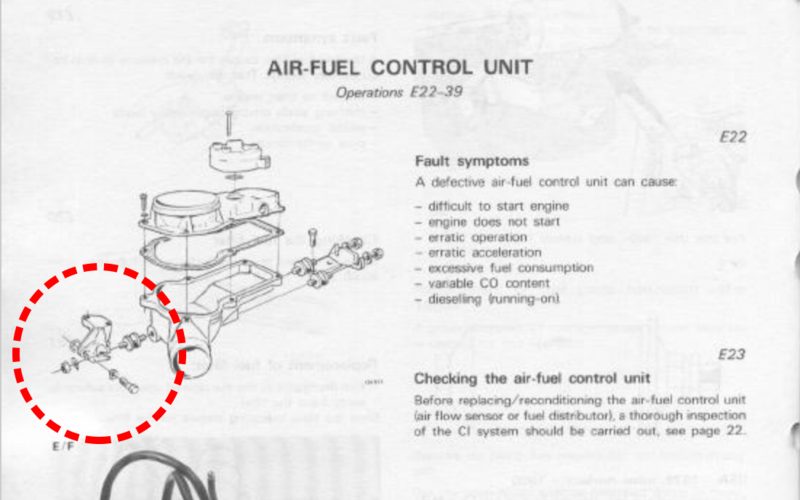 I have also seen an illustration that seems to have it in line with the auxiliary air valve? I am not an experienced mechanic at all. Part of why I bought an older 240 was for the ease of working on them and trying to learn more -- the other 90% was just my general love of them. I recently moved from Portland to Philadelphia so I no loner have the HUGE resource of mechanics both professional and amateur that Philadelphia does not have. So I'm trying to solve as much of this on my own as I can. Also the streets of Philadelphia are brutal and I think have played a role in whatever is going on now. 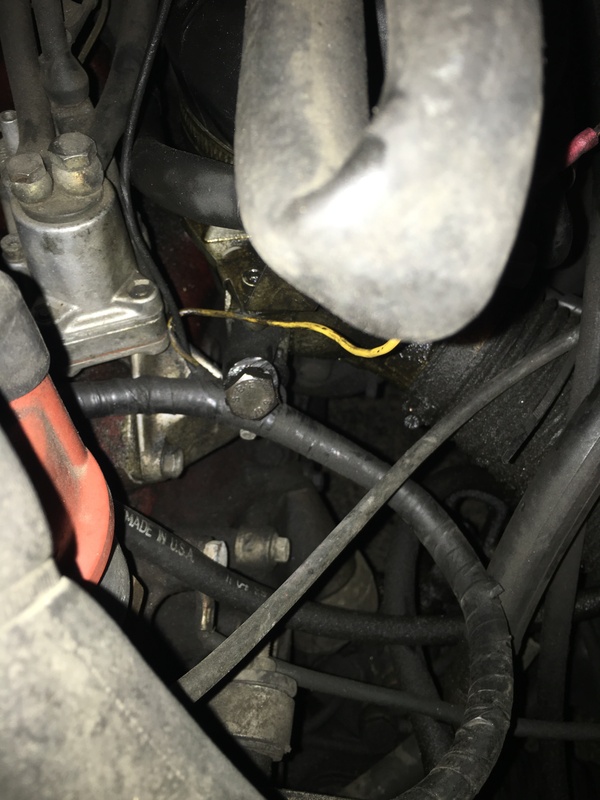 The bolt in the hose at the front of the air flow sensor/etc -- it seems likely that when they put that bolt in there it ate into the rubber and made a good seal but now has came unseated 100%. I had posted on another forum and they told me this is the best spot to ask about older k-jet engines especially with the k-jet website gone. ANY help/thoughts/advice would be amazing. 4. Do not mess with the K-Jet unless you know what you are doing. Especially that mixture control screw aft of the air flow sensor plate. That is not an idle speed adjustment. 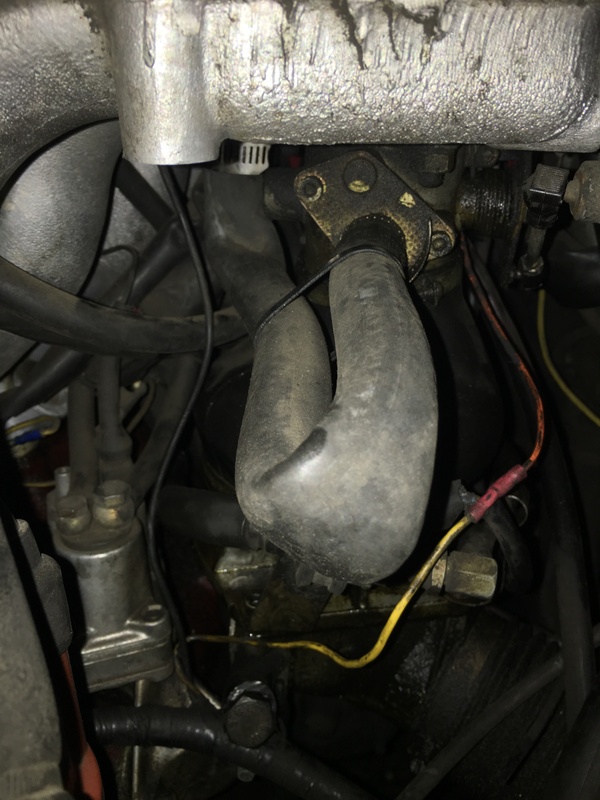 Oh I forgot to mention - that hose coming out of the front of your throttle body (your first picture), which I can only imagine is going up through the intake runners to the IAC - I'm suspicious about how kinked it is. You may want to check that out, and possibly also clean out your IAC (if you have one) with a good solvent. If you decide you need to get the opinion of a local, independent Volvo mechanic as to the problem, the two I'd recommend are Vol-Tech on Lombard or MVP in Multnomah. Oh, let me guess: did the prior owner perchance buy the car from a combined parts yard, repair shop and sales lot on Columbia Blvd. ?